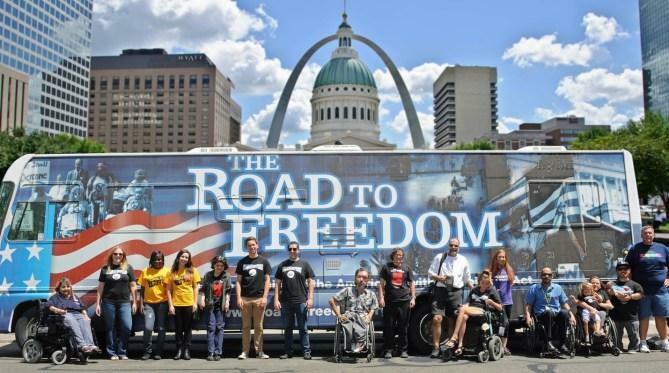 The Road To Freedom bus, which will be at the ADA 25 STL event on Oct. 3. This Saturday, the celebration in Forest Park will include food trucks, a job fair, a march, the ADA Legacy Project Freedom Bus, and special speakers such as former U.S. Congressman Tony Coehlo, the primary House sponsor of the ADA in 1990. 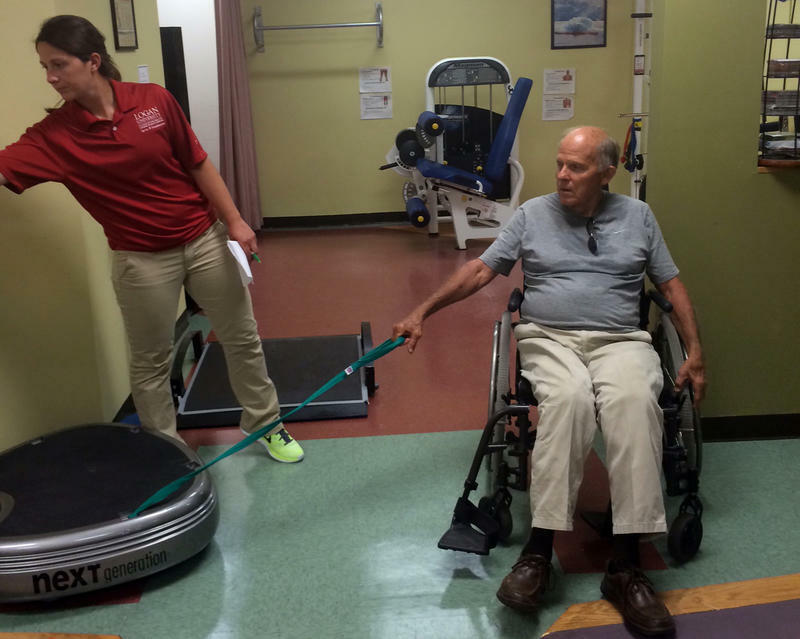 Colleen Starkloff, the co-director of the Starkloff Disability Institute, told “St. Louis on the Air” host Don Marsh that the enactment of the ADA has changed physical built spaces such as museums and public places immensely. Colleen Starkloff and Alison Gilkey talk to "St. Louis on the Air" host Don Mark about the ADA 25 STL event happening this weekend. Now, Starkloff has new goals for the ADA going forward. 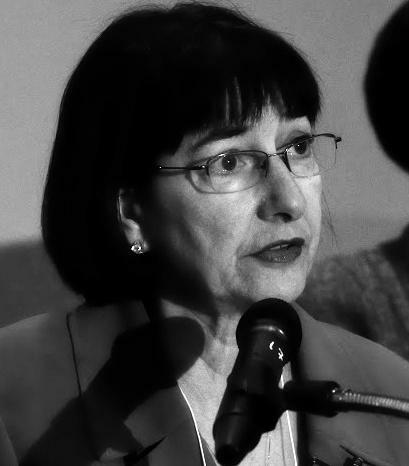 The disabled population is the largest minority in the United States and growing fast, said Starkloff. Saturday’s event will serve to draw attention to both the history and the future of ADA and people with disabilities across the United States. One of the most striking features of the celebration will be a 48-foot interactive traveling museum, the Disability Rights Museum on Wheels, which will be parked at the Missouri History Museum during the celebration. On Friday, you'll also be able to catch the bus in front of Centene Corporation, at 7700 Forsyth. Alison Gilkey, the co-curator of the museum and producer of the PBS documentaries “Lives Worth Living” and “The Great Fight for Disability Rights,” said that the museum, which is completely accessible, has been traveling the United States for a year bringing awareness to the history of disabled populations in the United States and issues facing the group going forward. Saturday, October 3, from 10 a.m. -4 p.m.
Colleen Kelly Starkloff has been on the forefront of the disability rights movement ever since she met her late husband, Max Starkloff, in the nursing home where he was confined due to a disabling car accident. Still a young man, Max was determined to live independently and help others in his situation do the same. Saturday is the 24th anniversary of the Americans with Disabilities Act (ADA). The law requires public accommodations be made for people with disabilities and prohibits employment discrimination. St. Louis has been on the forefront of disability advocacy since the 1970s, led by Paraquad founders Max and Colleen Starkloff. Through the efforts of Paraquad and the Starkloffs, St. Louis became the first city in the country to have lift-equipped buses. Members of Paraquad also traveled to Washington, D.C. to lobby for the passage of the ADA.